The porch is ready for trick-or-treaters! I noticed the shadow this little haunted house was making on the wall one morning and thought it was cool. Sam was Kylo Ren from Star Wars last year. How cute is this picture? 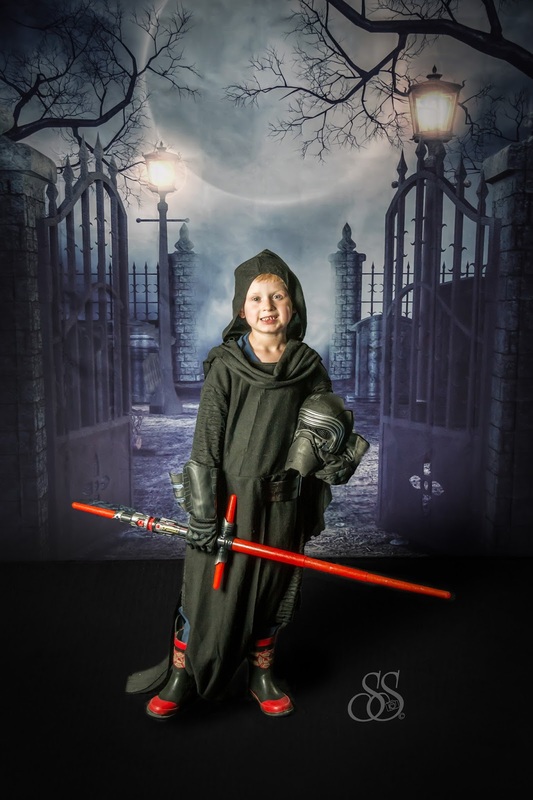 It was taken at a Halloween party that I take him to every year at a local recreation center.